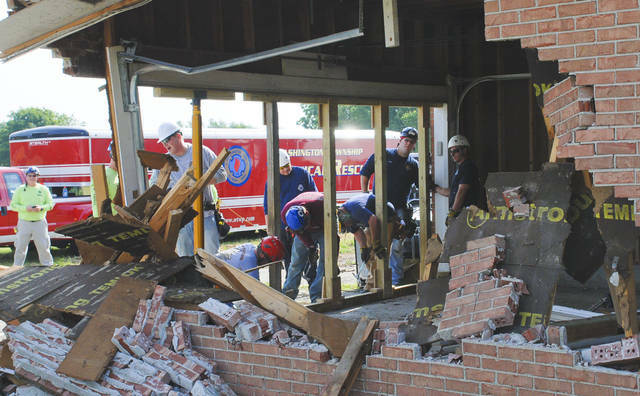 Central Ohio firefighters trained for rescues from collapsed structures recently in homes that are scheduled for demolition in Delaware. A car crash in the side of the garage was the scenario for the firefighters who had to build bracing to keep the structure from collapsing. 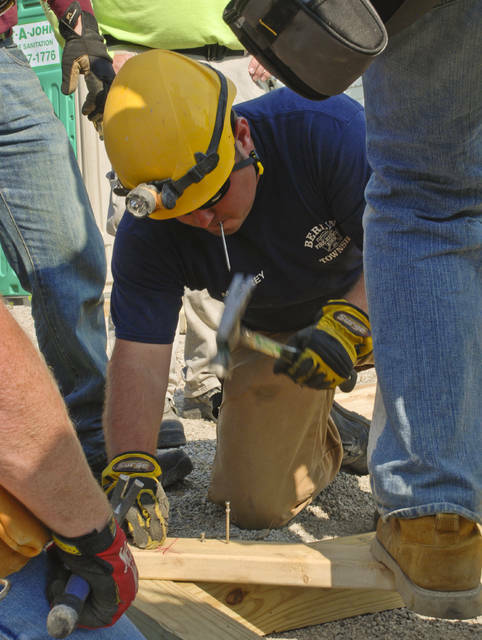 Delaware area firefighters trained to build bracing for building collapses with trapped victims. Mark Carey of the Berlin, Sunbury, Trenton and Galena Fire District is fastening a brace together that will support a portion of a collapsed garage. The final class of Bowling Green State University’s Certified Rescue Technician program was conducted recently in Delaware County. The program trains first responders how to respond quickly and efficiently to catastrophic events. Lobdell said if north central Ohio were part of a large-scale disaster, the first call would be to regional and state Urban Search and Rescue teams so they could be moving toward Delaware while his team rescued victims they were able to reach. Lobdell said the state has many USAR regional teams. He said some graduates go on to become members of Ohio Task Force I, which is part of the FEMA system and a designated Type I Urban Search and Rescue Team.